I love homeschooling little ones! 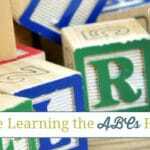 As a homeschool mom making learning fun is so much easier when we have little ones. They’re so eager to learn, willing to discover and try new things. Little ones just love life in general. I’m so thankful that I had the opportunity to homeschool my children from the beginning. 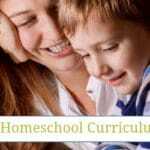 The first few years of our homeschooling journey are some of my favorite memories. 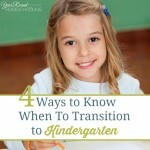 The most difficult part of homeschooling little ones is keeping up with them! They’re full of so much energy, excitement and curiosity, it can be hard to keep up. However, I promise that you can make learning fun for your little ones (and you!) and keep up with them with just a little bit of planning, preparation and organization! Your little one’s attention span is as unique as they are as a person. Before you start making your homeschooling plans, make sure that you consider how long your child’s attention span lasts. If you aren’t sure, plan an activity that they’ve never done before and see how long their interest is held. Whether it be a new playdough set, game or printable, choose something similar to an activity your child enjoys. Use the amount of time that your child enjoyed the new-to-them activity as the basis for your homeschool plans. For example, if your little one plays with a new playdough set for 30 minutes, start out by planning your homeschool activities in 30 minute increments. The next step to making learning fun for your little ones is filling your homeschool day with different types of activities and resources! Changing things up based on your child’s attention span will keep them interested in learning. This is very important for little ones. They love to use their hands and by providing them with hands-on learning activities they will learn better! Lessons taught through hands-on learning are easier to remember because we’re an active participant. Puzzles, trains, bead mazes, blocks and playdough provide your little ones the opportunity to work on their fine motor skills, memory and creativity through hands-on learning. By using printable activities with your little ones you’ll be encouraging them to work on their pencil holding and handwriting skills. They’ll be learning even more depending on what type of printable activity you choose each time. I have over 70 Preschool Printables in my store – including a full Preschool year and Kindergarten year phonics curriculum! You’ll also find Dr. Seuss and Star Wars themed printables, seasonal learning packs, game packs and MUCH more! Taking learning outside is a must for every homeschool family! You and your kids need to spend time outside your home on a consistent basis. Be sure to schedule outside learning time for your little ones. I advise you to get outside and learn with them every day the weather allows. You can always take your activities outside for the day too! When children are young they want to be “helpful”! They follow us around wherever we go and want to help with whatever we’re doing. This is a good thing! This natural curiosity and desire to learn gives us easy opportunities to teach them life skills. They’ll be having fun too because they’re being “grown up” and “helping” us! If you aren’t sure where to start Skill Trek is our favorite hands-on resource that teaches life skills to kids of all ages! Their Express Preschool Mini Bundle includes life skill lessons on stranger danger, tying shoelaces, washing your hands, making your bed and more. This is a program that can grow with them as it covers life skills through high school! Most of the time games aren’t just fun, they’re educational too! Playing games with your little ones is one of the easiest ways to make learning fun for them and you! I have a lot of printable game packs that will educational fun for you and your little ones! Music and art and two of the easiest subjects to make fun for your little ones! By including fine arts in your little ones homeschooling it will lay the groundwork for them to be creative throughout their lives! This is by no means an all inclusive list of how to make learning fun for your little ones. I do hope, however, that it is a springboard to help you see how easy it is to homeschool your little ones! How do you make learning fun for your little ones?